A liberating euphoria of sound, color, texture and timbre, BØRNS’ sophomore album Blue Madonna finds the emboldened artist basking in dreams of youthful revelry and nostalgic reverie. 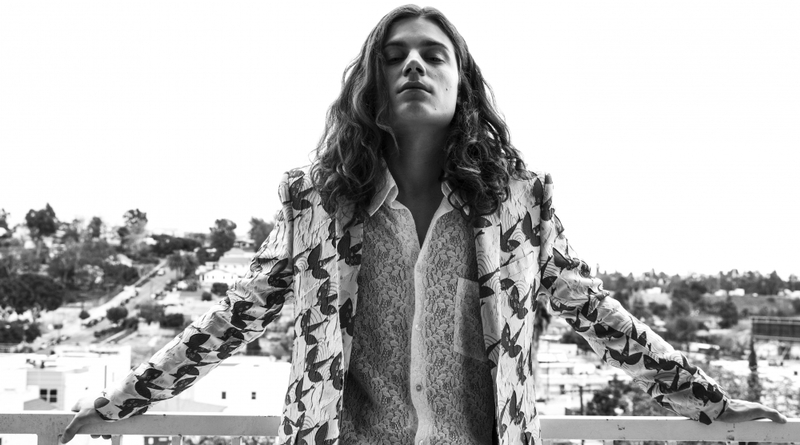 It’s getting harder and harder to describe BØRNS’ artistry – and that’s a good thing. 25-year-old Michigander Garrett Borns took the music world by storm in 2014 with his mesmerizing debut single “10,000 Emerald Pools,” solidifying his place later that same year with the buoyantly bubbly, infectiously upbeat anthem “Electric Love.” BØRNS’ subsequent debut album Dopamine (October 2015 via Interscope Records) further established his emerging talent, delivering sugary melodies through the lens of youthful pop magic. 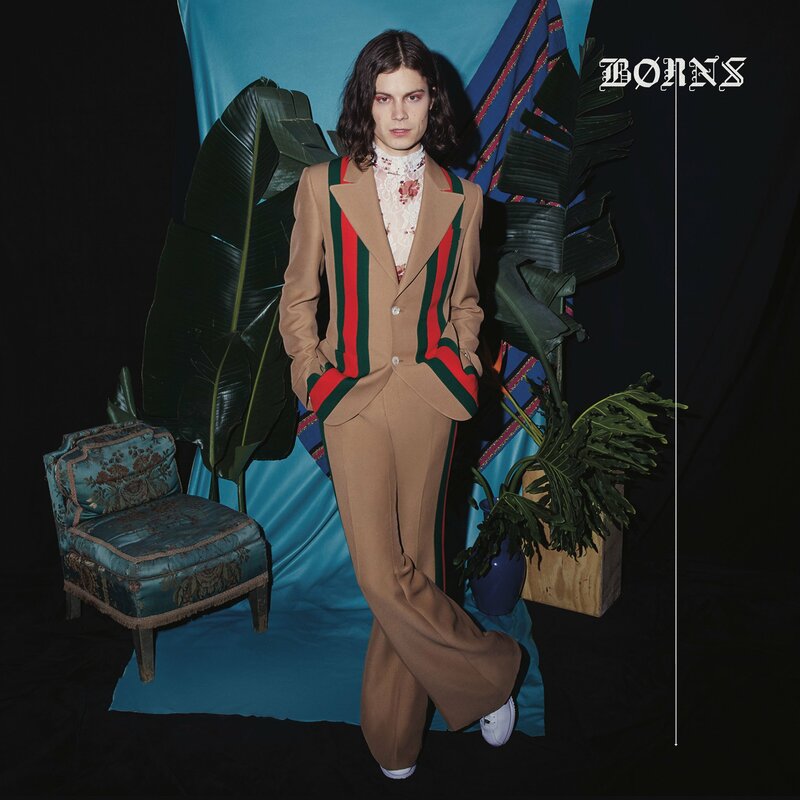 BØRNS keeps the magic coming three years later, expanding his musical pallette in all directions on his sophomore album Blue Madonna (out today, 1/12/2018 via Interscope Records). A liberating euphoria of sound, color, texture and timbre, Blue Madonna finds an emboldened BØRNS basking in dreams of youthful revelry and nostalgic reverie. Fantasy and reality combine as BØRNS soars like he’s never done before – but unlike Icarus, he returns from the sun unscathed. Won’t you be my consolation? Very rarely does a musical project so cohesively and all-encompassingly communicate intangible ideas and physical human emotions. Through audacious sonic diversity (credit BØRNS and his producer Tommy English), a plurality of song styles, and vivid lyrical imagery, Blue Madonna becomes far more than the sum of its parts. The cathartic 42-minute listening experience takes us on a dramatic journey that touches upon feelings of invincibility, eternal warmth, starry-eyed youth, and the fragility surrounding those ethereal, fleeting sensations. Like a lucid dream, BØRNS knows he’s in his own fantasy, but he still manages to reconstruct that world in its entirety before waking up. “To me the idea of Blue Madonna represents innocence and purity and virginity, but there’s also an element of sadness,” BØRNS muses. “I think that’s a main theme of the album: trying to hold onto that innocence.” BØRNS places just as much weight on Blue Madonna‘s secondary, more subtle theme: “Feeling almost immortal, but also really vulnerable.” He relates “the idea that even if you have everything in the world and you feel like you’re on top of some mountain, you’re still going to get your best night’s sleep in the lowlands with someone you adore…” Having wrestled with the concept of immortality on tour, BØRNS balances a “godlike” existence with its polar opposite: Mortal wear-and-tear. Yet somehow, even BØRNS’ lows feels mystically high. 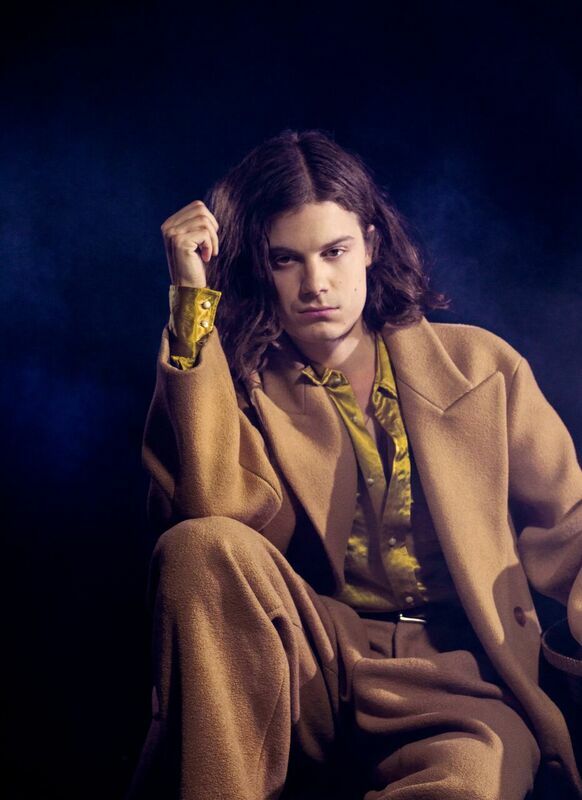 BØRNS calls “God Save Our Young Blood” a “plea to nature or to love.” If it is indeed a plea, then lead single “Faded Heart” evokes the urgency and pressure of that message. “Sweet Dreams” transitions us into softer, mellow territory while maintaining a thick, heavy bass line. The respite doesn’t last long, however, as the song erupts into a vibrant, multi-layered chorus of cascading keys and cloudy pads. “Consider this a lullabye,” our guide sings, confidently fixed in his own dazzling performance. One of Blue Madonna‘s best qualities is its refusal to conform to any one sound or structure. Inspired by ’60s grooves, “We Don’t Care” adopts a glamorous strut that would itself be the highlight of the piece, if not for the incorporation of sitar-sounding guitar licks in the verses and a bombastic horn section in the chorus. Each of these elements on their own is indicative enough of BØRNS’ musical growth; seamlessly integrated into one daunting piece, they depict the artist’s creative transformation. BØRNS is no longer the bubbly pop maker we met on Dopamine. We seem to reach the depth of dreams in the cacophonic “Iceberg,” a chameleonic track that evolves from ambient warmth into a cool, raucous haze. BØRNS brings us out of the dream with the spirited “Second Night of Summer” and “I Don’t Want U Back,” holding our attention as he explores rockier terrain. It’s easy to muse about dreams; opining on reality is a trickier ordeal, but the songwriter keeps his wits about him while singing of heartache and recovery. BØRNS leaves us with assurances of a stable, sunlit tomorrow in “Bye-bye Darling,” an orchestral stroke of grace as Blue Madonna takes its final bows and leaves the stage. “We had a run good run darling now don’t you cry, I know in the end it’s gonna be just fine,” he sings. “In the end it all feels like a dream; someday we’ll find out what it means. Bye-bye, darling.” Lost in the miraculous swirl of sweet melodies and shimmering harmonies, we leave that dream – for now. Having perhaps accepted the fleeting nature of our dreams, BØRNS endeavors to forever enshrine the magic he felt in those increasingly faraway moments. We begin to sense a larger purpose lurking throughout Blue Madonna, though it will certainly take more visits through this provocative record to extract the layers of personal and emotional significance. BØRNS has begun 2018 with a bang, setting the bar higher than we could have possibly imagined. Blue Madonna is a pop album. Blue Madonna is a rock album. Blue Madonna is a dance album. It’s the blurring of fact and fiction, filled with visions of grandeur and electrifying energies. And it’s going to mean something different to every listener.